department issued an official notification related to this recruitment process. apply online for these Engineering jobs. carefully before moving to online application form. Applying this IOCL Recruitment 2018? apply for these posts too. age must be in between 18 years to 26 years for applying these Government jobs. years age relaxation for OBC candidates. 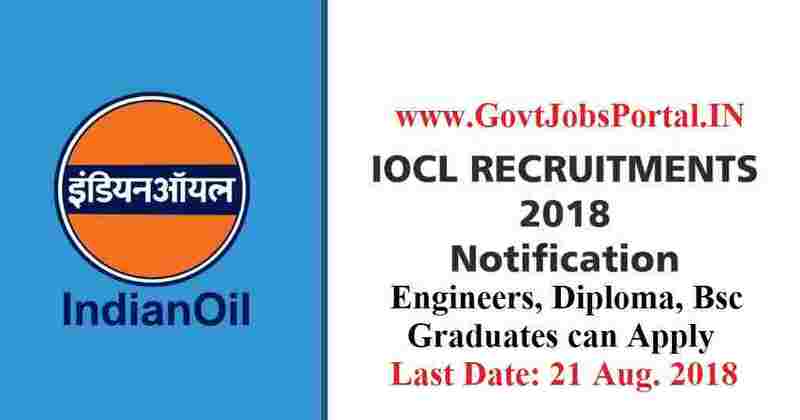 this Indian Oil Recruitment 2018? careers in Indian Oil can apply for these jobs by paying ZERO application fee. All Indian candidates can apply without paying fee. to the period of 12 months at least (including issue of call letters). KB) ready before applying on-line. Bhubaneswar – 751 001, duly signed by him/her so as to reach us by 30-08-2018.
accepted by the Post Office. is the Starting Date for Applying.